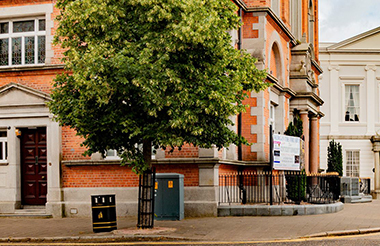 Newry Mourne and Down District Council has liting up Newry Town Hall pink in support of Organ Donation Week which runs from Monday 3 September to Sunday 9 September 2018. Newry Town Hall has gone pink for Organ Donation Week. 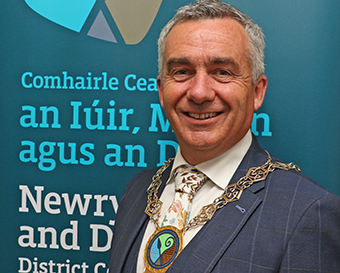 Council Chairman Councillor Mark Murnin said: “The Council is delighted to support this national campaign and highlight awareness for Organ Donation Week 2018. This support is a continuation of the commitment and partnership with the Southern Health and Social Care Trust to help highlight organ donation awareness and promote good health and wellbeing within the district. Specialist Organ Donation Nurse for the Southern Health and Social Care Trust Edel Livingstone said: “Despite recent advances in organ donation and transplantation, there are still around 137 people waiting for a transplant in Northern Ireland so we are always keen to encourage new donors to join the register. Council Chairman Cllr Mark Murnin. Around 83,315 people in the Newry Mourne and Down District are already on the NHS Organ Donor Register. Millions of people are already on the NHS Organ Donor Register, join them today and tell your family you want to save lives.